M o underline the importance of information exchange and technical training, Prolight + Sound Shanghai 2017 is set to reveal an engaging programme of technology-oriented workshops and interactive demonstrations for the entertainment industry. As a leading pro audio and lighting exhibition in Asia, the fair will be held from 11 – 14 October in the expanded halls N1 – N4 of the Shanghai New International Expo Centre. Mr Bernie Farkus, Senior Technical Sales Engineer from Audinate, will conduct a series of training courses on Dante AoIP networking – an uncompressed, multi-channel digital media networking technology for sound engineers and peers in the AV industry. To promote creative talent and cultivate exchanges in sound production, the award ceremony of the National Music Mixing Contest will be held for the first time at the show. A number of outstanding compositions chosen out of 2,000 participants across China will be awarded and demonstrated onsite. The event will be preceded by the Recording Technology Forum, where Mr Xiaoxing Lu, first Chinese winner of the Grammy Award in recording, will share profound insights and skills in sound production with various other industry experts. Jointly organised with the German Entertainment Technology Association (VPLT), this year’s training course will convene under the theme of 3D audio. A prestigious line-up of experts from Full Dimension Multimedia, German Tonmeister’s Association (VDT) and Sennheiser will unveil the latest technologies and applications on 3D audio. This is also the first time Sennheiser will present its “AMBEO 3D application” in China. This debut workshop will be held in collaboration with the Event Safety Alliance. Mr Roger Barrett, Special Projects Director from Star Events Ltd, will demonstrate practical rigging techniques and safety measures during live events. Hosted by the Audio Professional Committee of the China Society of Motion Picture and Television Engineers (CSMPTE) and Prolight + Sound Shanghai, the IFTT Forum will return with a series of technology-oriented seminars for recording and production in the film, television and broadcasting segments. 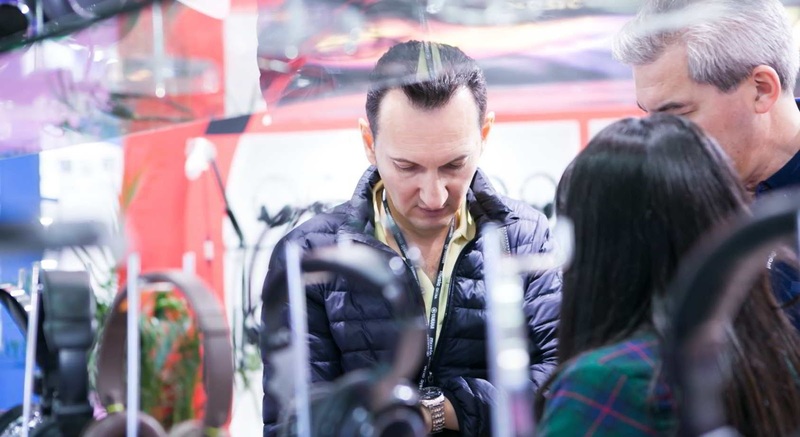 Apart from experiencing an unrivalled level of exposure to the industry’s best minds, visitors can also take part in the numerous interactive sessions and product demonstrations to forge business connections and immerse themselves in unique audio-visual experiences. Spanning two demonstration areas and dedicated to international and local audio brands respectively, the outdoor line array will showcase state-of-the-art audio systems from 19 brands, forming one of the largest outdoor showcases in Asia. International participating companies include EM Acoustics, ENEWAVE, KV2, LYNX, NEXT, SE Audiotechnik, TW Audio and Verity. Local participating brands include CPL, CVR, DMX, Fidek, Magnetic, QANON, TASSO, Vatasa Audio, YME, ZMS Audio and ZSOUND. This interactive area will provide an opportunity for attendees to experience the most cutting edge sound technologies available in the market. Newcomers this year include AEA, AMS Neve, Audient, Avid, BAE, Charter Oak, Coleman Audio, Dynaudio, FLEA, GML, Great River, Heritage, Kemper, Latch Lake, MAAG, Melo, Midi Plus, NOS, Phoenix, Teqeler, Ultimate Ears and Wunder. In this area, visitors can interact with leading industry players and acquire the latest development in top-notch pro audio, stage and lighting, as well as new media technology. Prolight + Sound Shanghai is organised by Messe Frankfurt and Shanghai INTEX, and is a brand event of the annual Prolight + Sound exhibition in Frankfurt, Germany. For more information about the Shanghai show, please visit: www.prolightsound-shanghai.com. For more details about Prolight + Sound fairs, please visitwww.prolight-sound.com. Background information on Messe FrankfurtMesse Frankfurt is the world’s largest trade fair, congress and event organiser with its own exhibition grounds. With more than 2,300 employees at some 30 locations, the company generates annual sales of around €647 million. Thanks to its far-reaching ties with the relevant sectors and to its international sales network, the Group looks after the business interests of its customers effectively. A comprehensive range of services – both onsite and online – ensures that customers worldwide enjoy consistently high quality and flexibility when planning, organising and running their events. The wide range of services includes renting exhibition grounds, trade fair construction and marketing, personnel and food services.